← Is the U.S. Electric Generation Mix Adequately Diversified? Is Renewable Power Cheaper Than Coal? Given these numbers, wind certainly looks competitive, especially given that under current environmental regulations it would be tough to build anything but an advanced coal unit. Xcel Energy in Colorado recently signed a wind energy power purchase agreement for an initial cost of $27.50/MWh. With an annual price escalator of about 2%, the price of this contract will remain well below the levelized cost of other technologies. Now, of course we could go on to argue things like capacity value, transmission costs, or the need for backup power, and these would all be valid issues to consider. 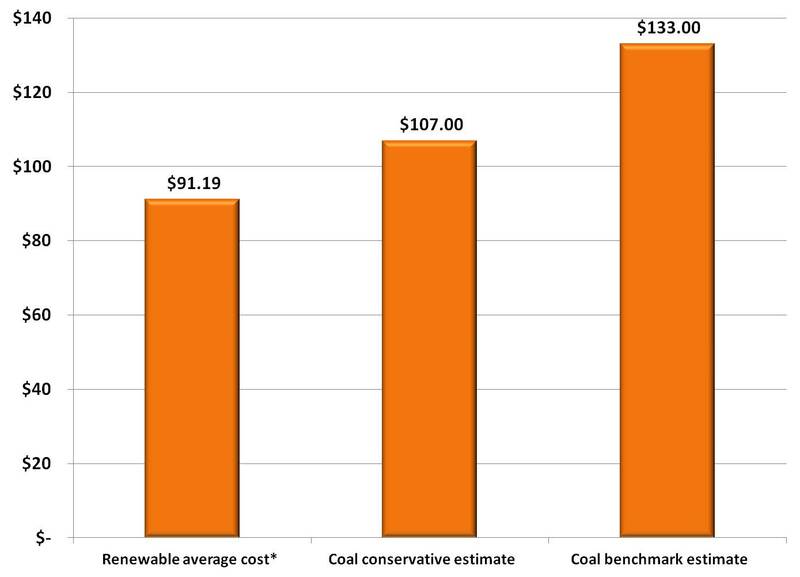 But we can at least now say that we can’t just assume renewables are too expensive. It is time for all market participants to consider this issue more deeply before making future plans! This entry was posted in Electricity, Renewables and tagged Electricity Markets, Energy Education, Photovoltaic, PV, Renewable, Renewable Energy, Solar Power, Utilities. Bookmark the permalink. 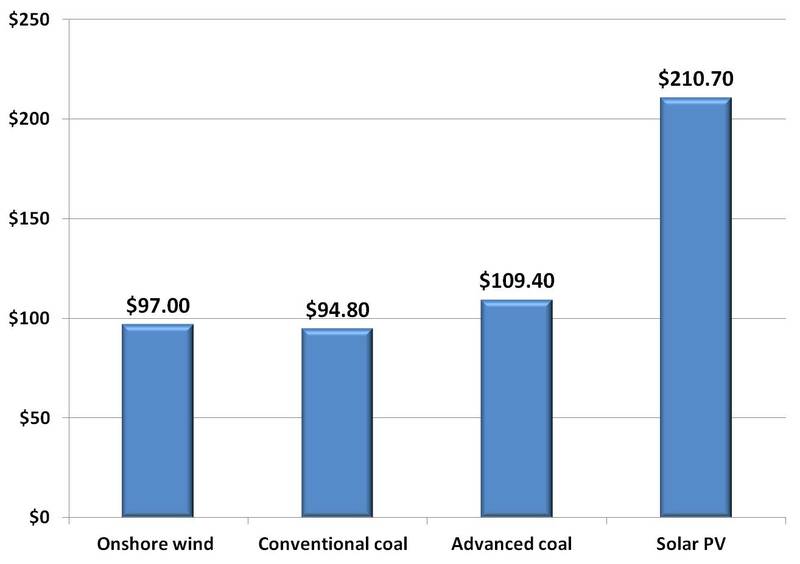 2 Responses to Is Renewable Power Cheaper Than Coal? It really depends what the form of renewable energy you are comparing. To average the cost with so many types now would be very difficult. We are working on a project that has very affordable costs due to the fact that we are also able to produce more then just electricity and our other products have a high demand. The greatest challenge for those of us that are trying to put out renewable energy plants is funding. Totally agree that it depends on the type of renewable resource. We get into that a bit in the blog (giving costs for wind and PV) but could write a lot more on that subject! Your project sounds interesting. 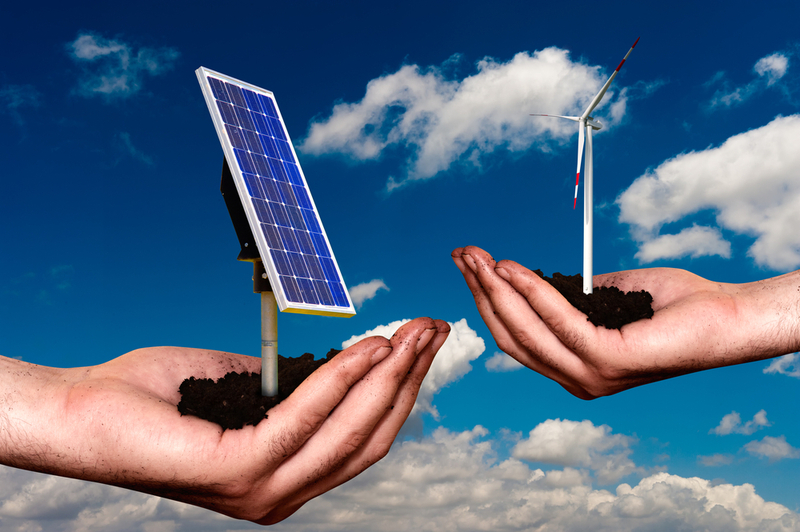 Maybe we can write a future blog on the topic of funding for renewable projects. Thanks for your comments.